Dr. Timms is a Geographer who studies sustainable tourism and environmental conservation in Latin America and the Caribbean. For sustainable development he adopts a critical theoretical perspective of Caribbean plantation economies and how they alter social and environmental landscapes. Practically, such critiques are addressed through linking tourism and domestic agriculture, the prospects for local agriculture development, and the advancement of community tourism as a more sustainable form of development. Research in this area has taken place in St. Lucia, Jamaica, and the Corn Islands of Nicaragua. In researching environmental conservation he applies the theoretical lens of political ecology to investigate global environmental conservation policies and their impacts on local populations and environments. In response to the often fatalistic outcomes of political ecology research, he adds a cultural ecology perspective to uncover spaces for local populations to mitigate negative repercussions on their livelihoods in face of growing socio-economic and environmental marginalization. Research in this area in Honduras and Jamaica includes ethnographic methods and utilization of geospatial technologies, including remote sensing and geographical information systems, to ‘tie people to the pixel’ and uncover current trends and future possibilities for more sustainable human-environment relationships. In addition to his wide variety of courses taught at Cal Poly, Dr. Timms is highly involved in study abroad opportunities for students. 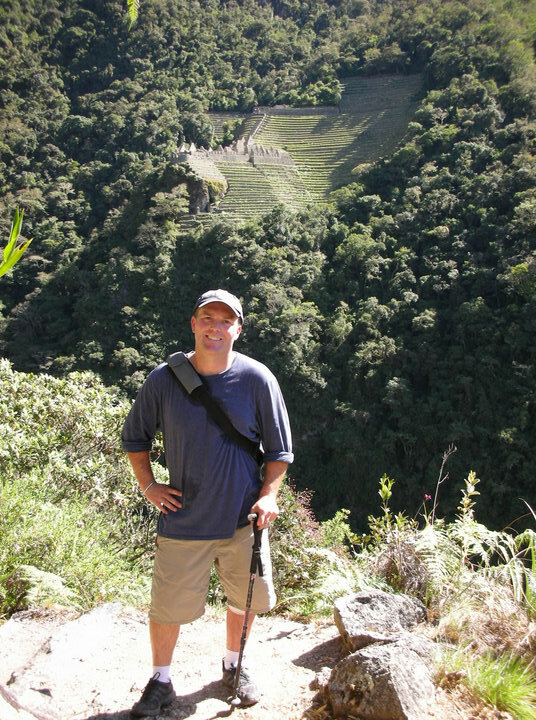 He has served as the resident director of the Cal Poly Peru, Spain, Thailand, and London Summer Study Abroad programs during which students take Cal Poly courses and participate in fieldtrips in these foreign locales. Finally, in his spare time he enjoys woodworking, traveling, hiking, and exploring wine country with his lovely wife Erika and dog Stella. Timms, Benjamin. 2015. “Coping with Displacement: Adjustments to Rural Livelihoods following Relocation from Celaque National Park, Honduras.” The California Geographer 54: 1-22. Timms, Benjamin, James Hayes and Melissa McCracken. 2013. “From Deforestation to Reforestation: Applying the Forest Transition to the Cockpit Country of Jamaica.” Area 45 (1): 77-87. Timms, Benjamin and Dennis Conway. 2012. “Slow Tourism at the Caribbean's Geographical Margins.” Tourism Geographies 14 (3): 396-418. Conway, Dennis and Benjamin Timms. 2012. “Are Slow Travel and Slow Tourism Misfits, Compadres or Different Genres?” Tourism Recreation Research 37 (1): 71-76. Timms, Benjamin. 2011. “The (Mis)Use of Disaster as Opportunity: Coerced Relocation from Celaque National Park, Honduras.” Antipode: A Radical Journal of Geography 43 (4): 1357-1379. Conway, Dennis and Benjamin Timms. 2010. “Re-Branding Alternative Tourism in the Caribbean: The Case for ‘Slow Tourism’.” Tourism and Hospitality Research 10 (4): 329-344. Caribbean: Recurring Crises and Missed Opportunities.” Caribbean Geography 15 (2): 101-117. Timms, Benjamin. 2008. “The Parallax of Landscape: Situating Celaque National Park, Honduras.” In D. Knudsen et al. (eds) Landscape, Tourism, and Meaning, pp. 95-108. Aldershot, UK: Ashgate Publishing Ltd.
World: Problems and Prospects for St. Lucia." International Development Planning Review 28 (1): 35-56. Conway, Dennis and Benjamin Timms. 2003. “Where is the Environment in Caribbean Development Theory and Praxis?” Global Development Studies 3 (1-2): 91-130.